It is not easy to be Sarajevo – worshipped and hated, praised, dragged down, built up as a symbol, called the cradle of evil, burned down twenty times, reborn, damned, desired, envied, deserted. There are those who remain faithful at the risk of death, those who run away at any cost. Some return to live, others just to die. All this in 500 years. If it is true that "the Balkans are suffering from too much history" as W. Churchill said, Sarajevo is the proof. Many will take the liberty to judge Sarajevo, even if they have never set foot there. People who have been there only once will speak about it with familiarity, falling into the usual stereotypes of "Europe's Jerusalem", "the meeting place between East and West", "the symbol of multi-ethnicity and multiculturalism," "the martyred city", "the European Tehran". All exaggerations. What is certain is that Sarajevo does not leave us indifferent. Its very name is enough to evoke emotions. When people ask me what is Sarajevo like, I say it is not as beautiful as Rome, Paris, St. Petersburg, or Prague. Sarajevo's charm lies in its elusive essence. Of course, not always and not all that concerns Sarajevo is ethereal. Historical facts, for example, sometimes confirm these sentiments and sometimes incorrectly document the glorious vision of the city. To this city that "has had the paradoxical fate of being a real symbol of political violence and a European model of cosmopolitanism and peaceful coexistence" is devoted the book "Sarajevo, 1941-1945: Muslims, Christians, and Jews in Hitler's Europe". The author, American historian Emily Greble, rummaged through seven archives in three countries, scoured the correspondence of Sarajevo's highest authorities, from courts to the secret police, from the army to the resistance, and examined newspapers of the time to produce a book that is valuable for scholars and interesting for the curious. In her work, Greble confirms theories, breaks down stereotypes, clarifies misinterpreted facts, reveals previously unknown episodes, and exposes some urban legends. In short, the book has pages for those who love Sarajevo as well as for those who love it a little less. Unlike most historians and writers of BiH today, the author does not go soft on “her side” (national or religious), but remains non-partisan and follows the supreme criterion of truth. Greble starts from the premise that during the Second World War, in Hitler's Europe where multiculturalism was crushed and ground to a powder, the Bosnian capital remained truly cosmopolitan. Just as in the nineties, when the Federal Republic of Yugoslavia disintegrated, "Sarajevo earned a reputation as one place of tolerance, diversity and peace... In fact, Sarajevo became the symbol of everything that worked in Yugoslavia, an emblem of multiculturalism, in the most positive sense". According to the author, Sarajevo's idyllic multiculturalism survived the catastrophes that have overwhelmed Europe by clinging to two aspects of its traditional culture: a system of confessional identity which was preserved in the private sphere and local solidarity rooted in political pluralism and cultural diversity. Sarajevo had distinct ethical and cultural norms that lead people to a certain behaviour. In order to be sarajlija (citizen of Sarajevo), one had to make some concrete actions and observe the city's ethical pillars: coexistence (zajednički život) and good neighbourliness (komšiluk). Yes, Sarajevo was cosmopolitan, but that does not mean it was vaccinated against nationalism. It was possible to be both a fervent nationalist and an ardent supporter of Sarajevo's identity. During the Second World War, Sarajevo – and BiH as a whole – was incorporated in the Independent State of Croatia (Nezavisna Drzava Hrvatska, NDH), notoriously one of the most brutal Nazi satellite states. The Ustasha regime particularly targeted "foreigners", i.e. Jews, Serbs, Montenegrins, Russians, and Gypsies. Before the war, Sarajevo hosted a Jewish community of about ten thousand people. Almost all ended up in concentration camps. 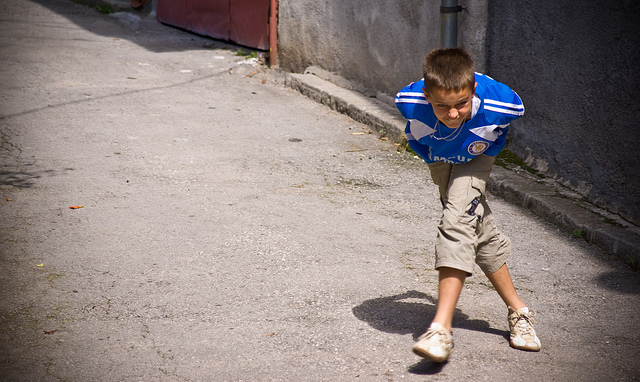 Sarajevo's behaviour was sometimes contradictory and difficult to understand. In 1941, for example, a Muslim organization said that "the Jews were to be stopped once and for all" but, at the same time, Catholic and Muslim leaders in Sarajevo sabotaged the actions of the Ustasha authorities and actively sought to protect Jews through conversion. The practice of hiding Jews in the house had become so common that, at the beginning of November 1941, the Ustasha authorities accused the entire citizenry to sabotage deportations. When the Ustasha regime tried to eliminate Sarajevo's Serb population, the city put it under pressure, sometimes openly disobeying directives, and also opposed the decree by which Roma people were declared "not Aryans" and undesirable. Sarajevo authorities considered Roma people as part of society, deeply rooted in the fabric of the city, and protested against their deportation. However, for every citizen who helped the Serbs, Jews, or the Roma, there was another who took advantage of the situation. Some religious leaders rebuked the sarajlije for that behaviour. Sarajevo was less welcoming for tens of thousands of refugees (according to some estimates, about eighty thousand) who had fled the pogroms that the Chetniks – the Serb nationalists – had commenced against Muslims (in other words, what happened in the nineties, in the same areas of eastern Bosnia along the river Drina – was it only a deja-vu of the forties? Was the Srebrenica genocide a completion of the unfinished work of the forties?). The sarajlije did not like the refugees arrived in the city 70 years earlier – they accused them of dirtying the city, they feared that they could change Sarajevo's soul (even now, after the last war, we see the same debates, the same fears). The city authorities saw the refugees as intruders (and the same thing happens today – a Muslim woman, raped and cast away from her home during the last war, is now seen as an "outsider”). Greble tries to explain the reasons that led Sarajevo's Muslims to cooperate with the nationalist Ustasha regime and the German Nazis and join the Handzar division, suggesting a new framework to better understand these facts. In the Kingdom of Yugoslavia, Bosnian Muslims were constantly usurped of their religious autonomy, landowners were deprived of their possessions, with land most often distributed to Serbs (the veterans from the Salonika front), while some mosques were demolished or converted into warehouses. The worst insult was when the regime moved the seat of the head of the Muslim community from Sarajevo to Belgrade. For these and similar reasons, Bosnian Muslims hoped that their position would improve with the Ustasha regime and the "new order". But it was a vain hope, and it did not last long. In 1943, while the Chetniks accelerated their campaign to eliminate Muslims, the Ustasha militia began to kill Muslims with the same frequency they killed Serbs. The only group that did not kill Muslims, or at least not in an indiscriminate way, were the Nazi occupation forces. The book exposes a popular urban legend of Sarajevo as the centre of heroic resistance against the Nazis, encouraged by one of the most famous Yugoslav films, "Valter defends Sarajevo". In fact, few citizens of Sarajevo joined the resistance. The sarajlije did not see big differences between the Partisans and the Ustasha – they regarded both as violent, crude movements, mostly joined by farmers. Valter, the elusive leader of the resistance, really existed – it was the code name of Vladimir Perić. In the last scene of the film, a Nazi spy points to the city from a lookout and, turning to a German officer, utters the famous phrase: "You see this city? Das ist Valter". Both Sarajevo and Valter had proved elusive. The sarajlie had not earned this reputation during the Second World War, but they did earn it with their blood, during the nearly four years of siege, from 1992 to 1995.